Have you ever wanted to visit Nepal? 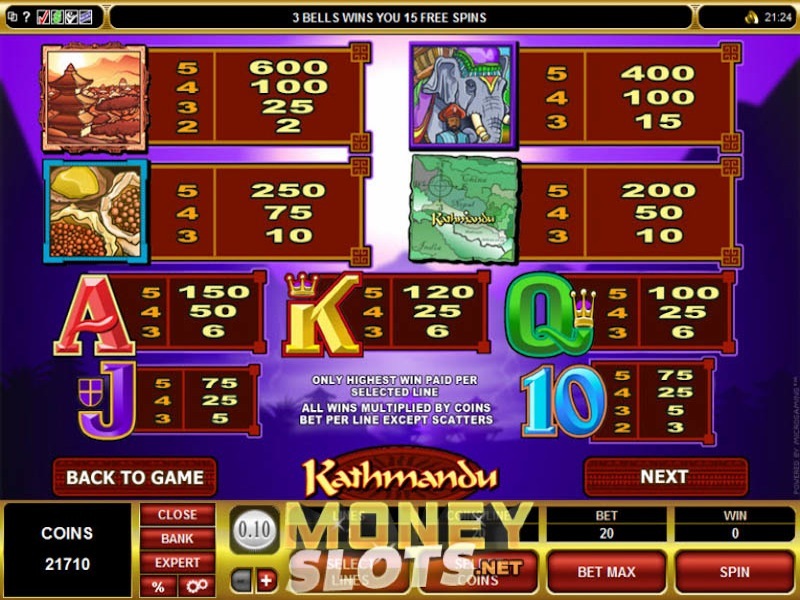 Then we invited you to try out Kathmandu which is the capital of this slot game created by Microgaming. The game is a 5-reel, 9-line video slot. Far away there is a town in East Asia which attracts tourist from all over the World, in search of beautiful nature and also learn about other culture's. Kathmandu is one of video slots on a line, which are dedicated to famous cities and places and it is their main attraction. The Wild symbol of this online slot is the special wheel for players and it performs its well-known functions. The Wheel icon is the jackpot symbol and is worth 6 000 coins. The game is inspired by eastern culture and features thematic symbols such as; a temple, an elephant, the rising sun, and a map of Nepal. 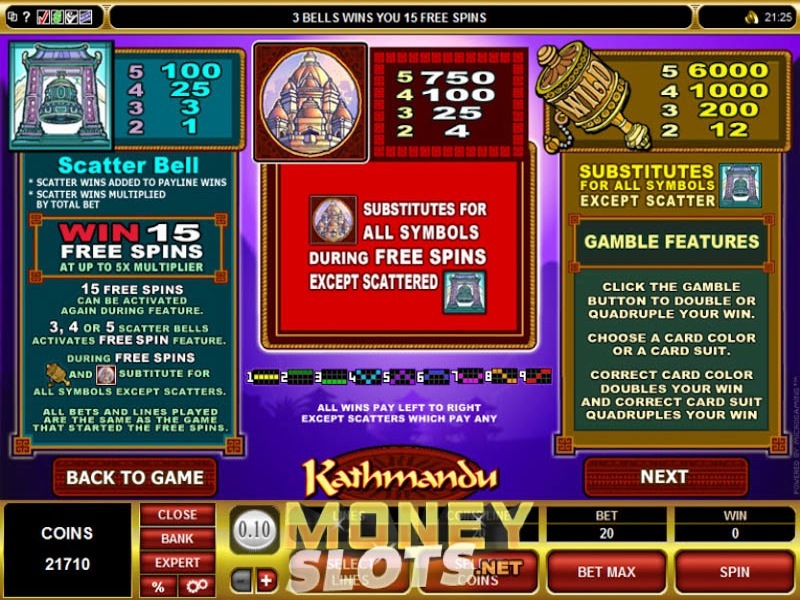 There are 9 paylines in Kathmandu, but players are free to play on however many they wish between one and nine. They can also stake between one and 20 coins, and the coin denominations go from 0.01 to 0.25. At maximum bet, you can stake 45 per spin. Look out for the scatter symbol which is the bell. Get at least three of these anywhere on the reels and that triggers the bonus game. You receive 15 free spins and that’s not all.